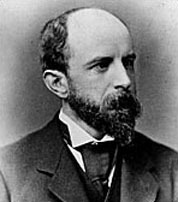 The American historian Henry Adams, son of Charles Francis Adams and grandson of John Quincy Adams, was born in Boston, Massachusetts, on the 16th of February 1838. He graduated at Harvard in 1858, and from 1861 to 1868 was private secretary to his father. From 1870 to 1877 he was assistant professor of history at Harvard and from 1870 to 1876 was editor of the North American Review. He is considered to have been the first (in 1874-1876) to conduct historical seminary work in the United States. His great work is his History of the United States (1801 to 1817) (9 vols., 1889-1891), which is incomparably the best work yet published dealing with the administrations of Presidents Thomas Jefferson and James Madison. It is particularly notable for its account of the diplomatic relations of the United States during this period, and for its essential impartiality. Adams also published: Life of Albert Gallatin (1879), John Randolph (1882) in the "American Statesmen Series," and Historical Essays (1891); besides editing Documents Relating to New England Federalism (1877), and the Writings of Albert Gallatin (3 volumes, 1879). In collaboration with his elder brother Charles Francis Adams, Jr., he published Chapters of Erie and Other Essays (1871), and, with Henry Cabot Lodge, Ernest Young and J. L. Laughlin, Essays in Anglo-Saxon Law (1876). Adams' finest work and the one most remembered today, The Education of Henry Adams (1918), was awarded a posthumous Pulitzer Prize, and is one of the finest memoirs in American letters.